Employees use Boomr to track hours worked directly from their smart phone, tablet or PC. Hours worked data is then sent over from Boomr to BambooHR (with a click of a button). All hours sent from Boomr sync automatically with your company's Time Off accrual settings. This data then gets sent directly to payroll, that’s it. No more broken manual processes, no more fragmented software solutions, and no more errors in your data. 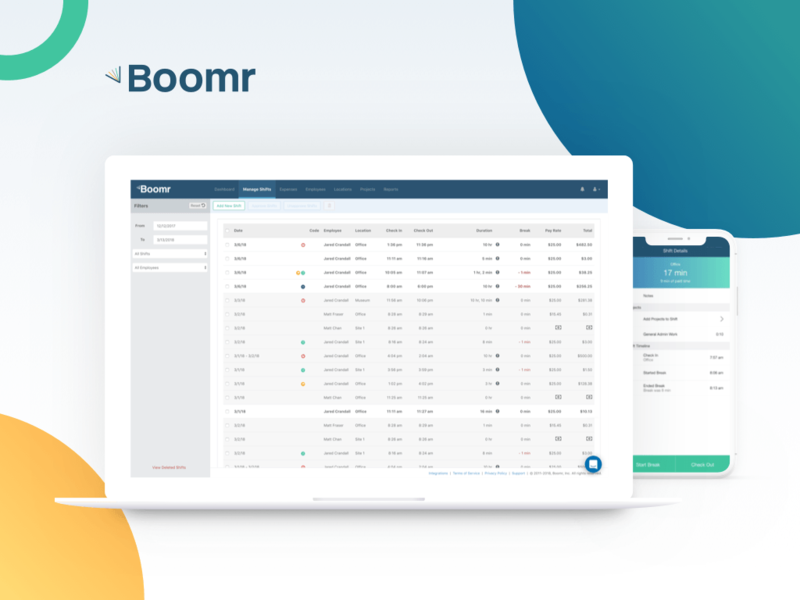 Boomr eliminates headaches for HR and Payroll specialists by reducing bottlenecks in your backend processes. We automate the flow of data within your business from hours worked by your employees and flagging overtime, to tracking your PTO and accruals, all the way through payroll. At any time you can see where each employee stands with total hours worked plus Overtime, Paid Time Off and Accruals. Save time and money by having all of your hours worked data synced across your company with a couple of clicks! Everything will be organized in one place and reporting is accurate and easy. Onboarding and training are a breeze and Boomr can be fully implemented and integrated with BambooHR within a few hours. Our awesome onboarding team will guide you through the entire process and ensure that you are setup for success. 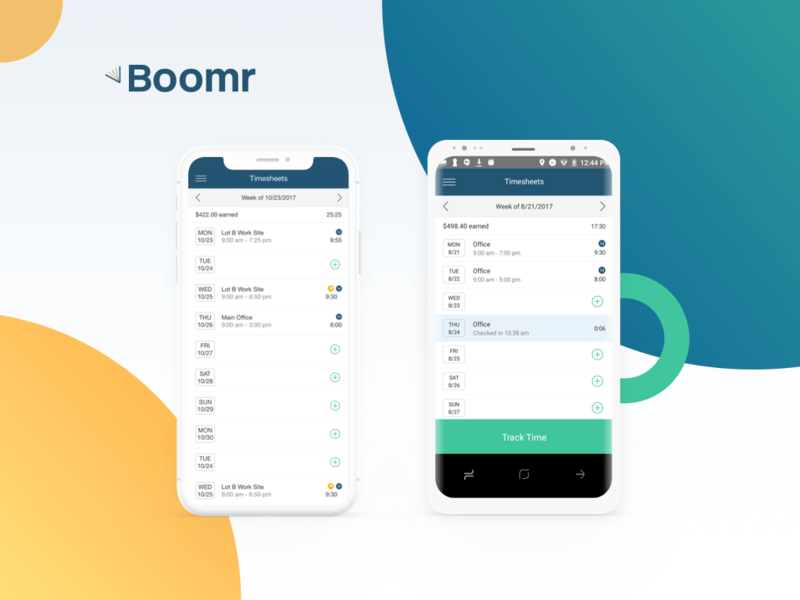 With the Boomr integration enabled, customers will be able to choose which employees from BambooHR will sync into Boomr by either creating new employees in Boomr, or matching them to existing employees in Boomr. The integration keeps those matched employees updated from BambooHR on a daily basis ensuring that any new hires, terminations, or changes in BambooHR to any synced fields will be updated in Boomr. Employees use Boomr on their own smartphone or tablet to securely track when and where they are working. Boomr will then send approved hours worked back into BambooHR as a Time Tracking Summary report. 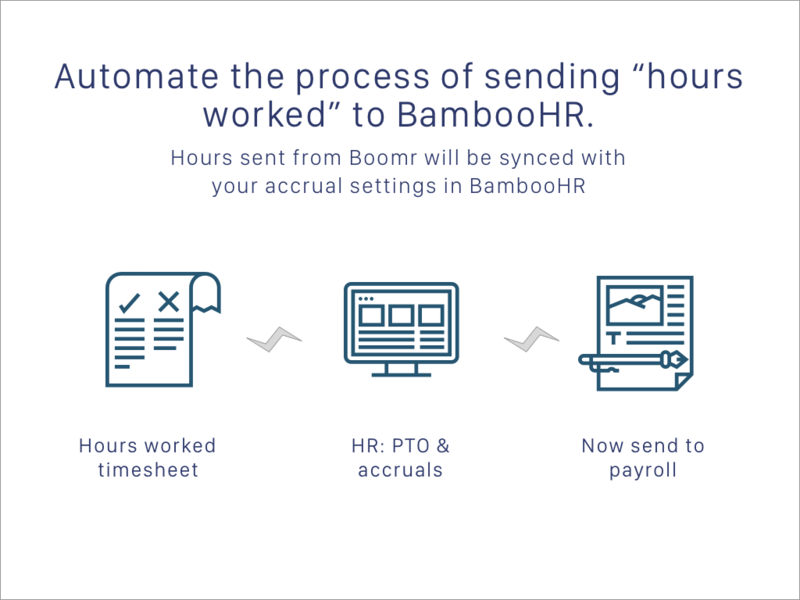 With approved hours worked synced back to BambooHR, customers can have these hours seamlessly sync to Bamboo Payroll (if they're using it), or accrue Time Off policies by "hours worked." Best Email Email BambooHR work email by default. If not available, then home email. Mobile/Work/Home Phone Phone If Mobile Phone in BambooHR is blank, next it will grab Work Phone in BambooHR, and then finally Home Phone. Pay Rate Default Pay Rate Only synced if "Hourly" is selected in BambooHR for Pay Type field. Pay Type Salary If the Pay Type field in BambooHR is set to "Hourly" it will pull the hourly rate and mark it in the field of Pay Rate (in Boomr). If it is set to anything else (daily, weekly, salary, etc.) it will be marked as "Salary" in Boomr (but no estimate of cost provided). Approved Hours Worked Data Approved Hours Worked Data When synced successfully, you'll be able to view hours worked data in the Time Tracking Summary Report in BambooHR. Note that the syncing of data for this integration flows from BambooHR into Boomr and so all updates to the syncing fields must be made in BambooHR. Changes made directly within Boomr to the shared syncing fields will not automatically update in BambooHR. For this purpose, we suggest using BambooHR as your system of record. Employee Time Tracking, Overtime and Time Off Accruals, Automated Work Flow & More!